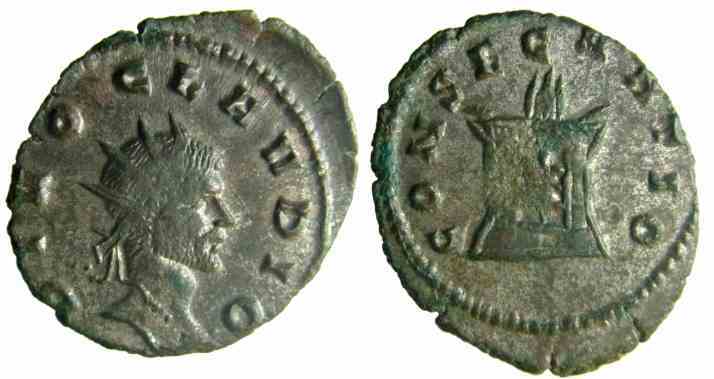 Bronze antoninianus, 22mm, 3.24gm, issued c. AD 270. Rome mint. Obv: DIVO CLAVDIO, Radiate head facing right. Rev: CONSECRATIO, Altar enclosure with fire on top, horns flanking. References: Sear 11462, RIC 261.